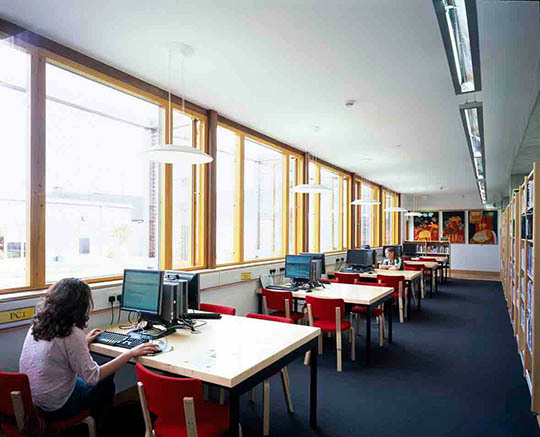 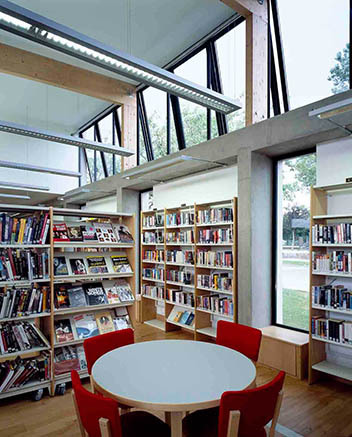 Tory Top Library is a single-storey purpose-built library very much set in nature; its flexible and modern interior providing spaces for different user groups. 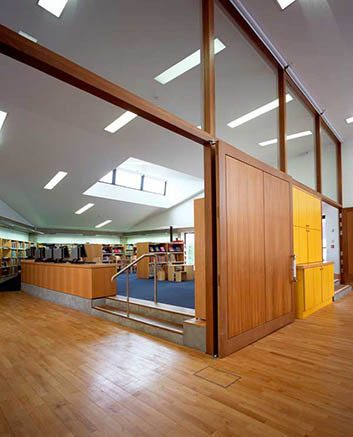 Entrance to the library is on Tory Top Rd, next to a mature cherry tree and the library also fronts onto Lower Friars Rd. 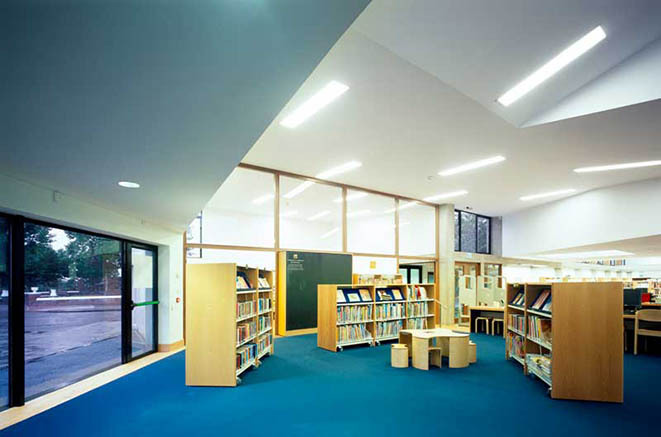 From the entrance, the building opens up to the east adult area and west childrens area; different areas are articulated by small changes in levels following the contours of the site. 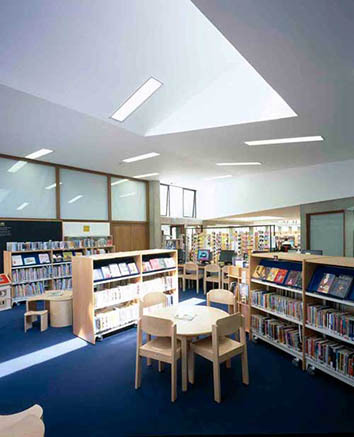 The library wraps around an enclosed garden on the south; adult area on one side, space for reference , study and quiet activities on another, staff areas on the third. 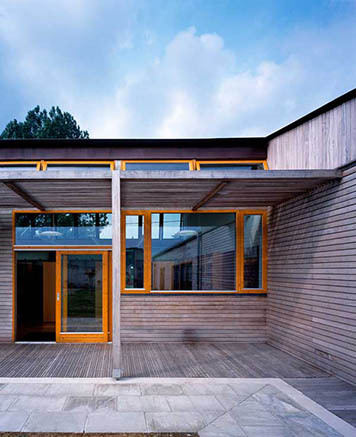 The wall closing off the garden offers views southward to the hills beyond Cork. 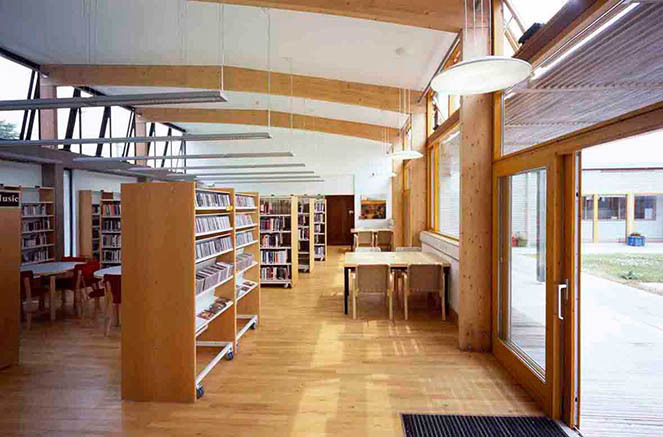 The building is heated using a geo-thermal system with pipes taking water from 30 metres underground. 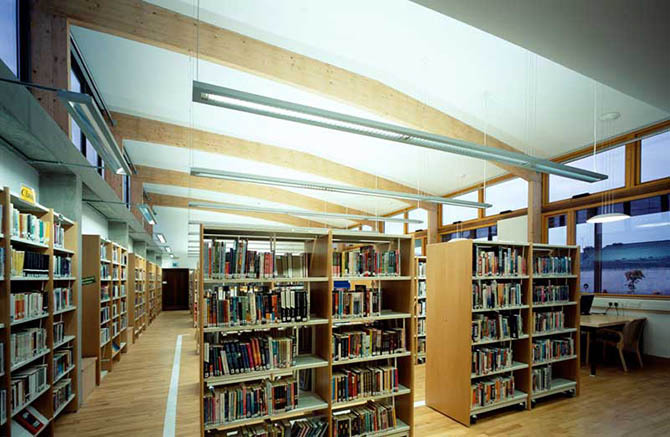 There is maximum natural light and natural ventilation of the space and the building was designed to the CIBSE 1997 guide to natural ventilation principles. 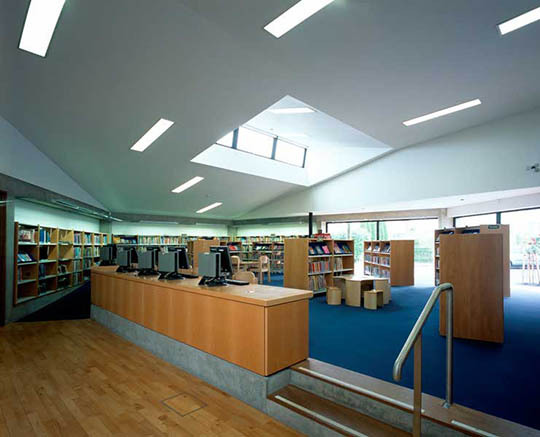 Tory Top Library was selected for the longlist of the Public Library Building Awards, UK and the Republic of Ireland, 2007.